CANTON, Mass. 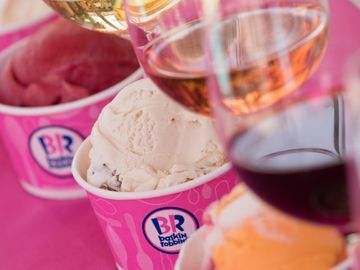 (December 2, 2013) – The holiday season has arrived and Baskin-Robbins, the world’s largest chain of ice cream specialty shops, is offering a lineup of festive ice cream cakes and treats to bring holiday cheer throughout the month of December. Available now at participating Baskin-Robbins locations nationwide, Baskin-Robbins’ Snowman Cake and Candy Lane Cottage Cake are unique and tasty additions to any holiday party. Baskin-Robbins’ holly jolly Snowman Cake is an eye-catching dessert with a whimsical smile that’s appropriate for any holiday celebration. The cake can be customized to feature guests’ favorite ice cream and cake combination, serves 6-8 people and has a suggested retail price of $26.99. For those looking for a smaller treat, guests can pick up a Snowman or Snow Woman Individual Treat made with their favorite Baskin-Robbins flavor. These mini treats have a suggested retail price of $2.49 each. Baskin-Robbins’ ensemble of fanciful holiday designs also includes the Candy Lane Cottage Cake, a delicious and decorative addition to enjoy with family and friends this season. This show-stopper features a holiday house ice cream cake decorated with M&M’s and mini candy canes and has a suggested retail price of $29.99. 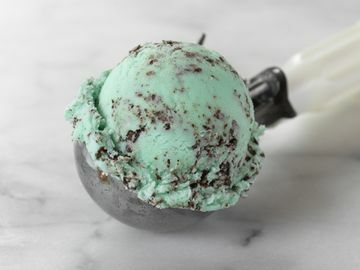 Guests can customize each cake by choosing their favorite ice cream flavor, including December’s Flavor of the Month, Peppermint Bark in the Dark, a new flavor combining crunchy peppermint bark and creamy chocolate ice cream wrapped together with a peppermint candy and white-chocolate flavored ribbon. Peppermint Bark in the Dark can also be enjoyed in a layered sundae, milkshake or Cappuccino Blast®. 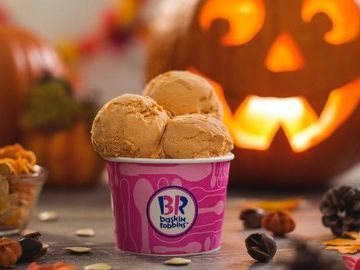 Guests can also pick up a pre-packed quart of OREO® Cookie Dough Obsession, the winning flavor creation from Baskin-Robbins’ Third Annual Create Baskin’s Next Favorite Flavor Contest. This quart’s special packaging highlights the story of contest winner Liz DeCecco of Eastchester, New York, who created the fun and delicious flavor, which features rich chocolate fudge ice cream with OREO® cookie and cookie dough pieces all tied together with a whipped-cream-flavored ribbon. 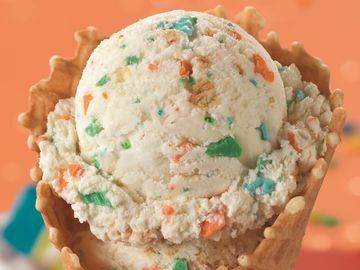 Guests can find this pre-packed flavor in the freezer at participating Baskin-Robbins locations nationwide. For a great stocking stuffer, guests can also give the gift of ice cream with a Baskin-Robbins gift card. 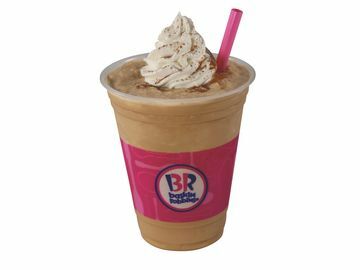 Gift cards can be purchased in any amount between $2 and $100 at participating Baskin-Robbins shops or online at www.BaskinRobbins.com and never expire. Gift cards can also be personalized online with cherished photos or a customized message, and can be ordered along with a personalized greeting card.